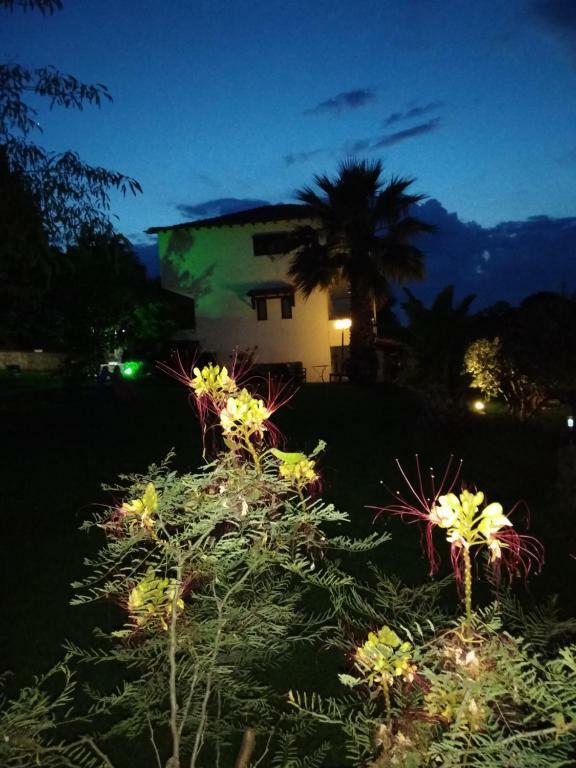 We enjoyed a lot our stay at Avra House. The owner is super friendly! Easy to access to the place and you have a beautiful sea view. We highly recommend you to stay at this lovely place! The property was just gorgeous. I liked the view to see especially. The room has anything we needed. I was impressed buy the two lady owners. Always friendly and ready to help and to give you advices.The yard was very large and had plenty of toys for children. Our 2-year old daughter eanjoyed it. Despite late arrivals, they were expecting us with a smile. I felt like I was visiting old friends. The place is very quiet and very close to the central part and at the same time separated. Amazing view. The nearest beach is apr 500 - 600 m.
Very peaceful and clean place, with very nice view. The owner was very kind and helpful. Beautifully situated among pine forest and the sea. The garden, the view, the owners all was amazing. The cleanest place ever. Great back yard. Excellent for children and babies. We highly recommend this Vila to anyone! A very good place. The yard is large and well maintained. There are lots of seating and relaxation in the garden. Efi and her mother care very well for everything. Has its own parking lot under olive trees. The rooms are spacious and clean. There is kitchen equipment with the necessary containers. The room was very clean and all amenities were present. Avra and her mother were quite welcoming and friendly which made us feel at home. I would definitely recommend this place to families in case they ever visit Kassandra, Chalkidiki. 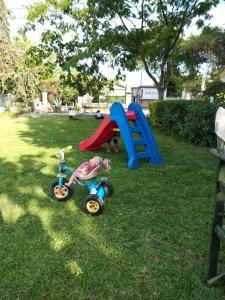 Perfect location, execellent place for families, clean apartaments with everithing needed inside, nice sea view, big terrace with table, huge garden with tools for Kids and tables for morning Coffee, parking , everithing was more than perfect! And the housewife Efi is so kind, smile and possitive, so you feel like home! We will deffenetely come back next year! 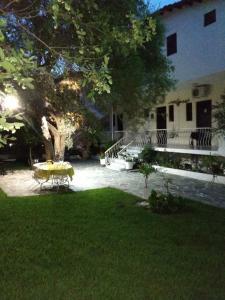 Lock in a great price for Avra Ηouse – rated 9.7 by recent guests! Set within lush gardens, Avra Ηouse offers air-conditioned studios with furnished balcony overlooking the mountains and Kassandra Bay. 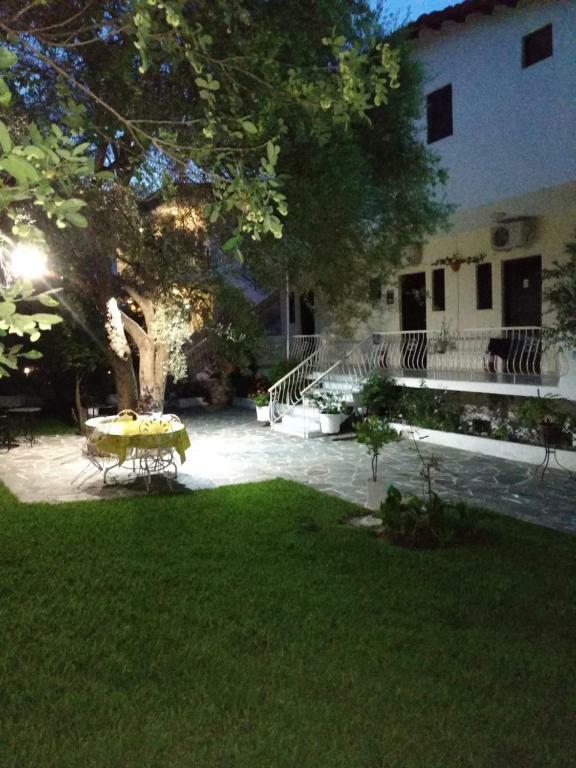 Located 1,950 feet from Kriopigi, Avra House is 1,650 feet from the beach. A kitchenette with fridge and dining table is included in all studios at the Avra House. Each has a TV and private bathroom with shower. BBQ facilities are provided in the garden. A playground is also available for younger guests. The lively seaside town of Kallithea is at 3.1 mi. Macedonia International airport is within a distance of 53 mi. Free private parking is offered nearby. 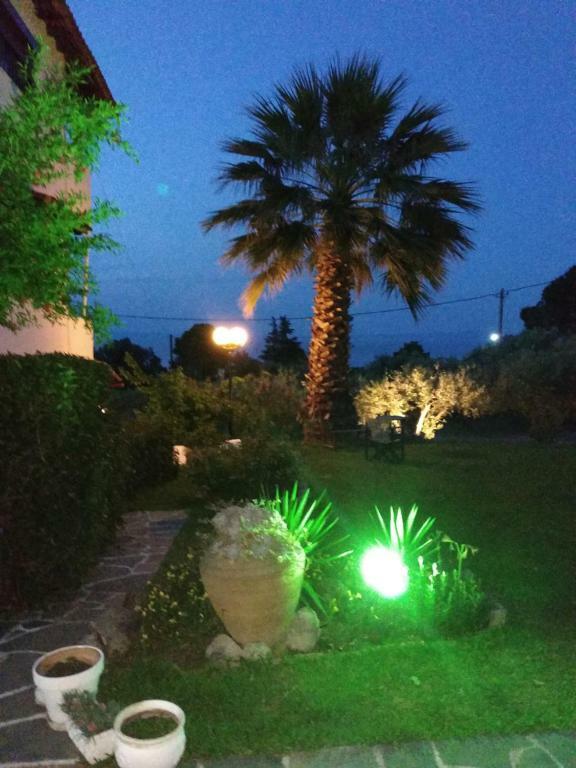 When would you like to stay at Avra Ηouse? Air-conditioned studio with furnished balcony overlooking the mountains and the sea. A kitchenette with fridge and dining table is included. House Rules Avra Ηouse takes special requests – add in the next step! Please note that clean towels and bed linens are provided every 3 or 4 days. Please inform Avra Ηouse of your expected arrival time in advance. You can use the Special Requests box when booking, or contact the property directly using the contact details in your confirmation. Nothing! Some people have complained about the property being at the top of a steep road/track from the nearest beach, which I can testify is tough going, but this is very common in this hilly part of the world. However, Central Kryopigi (which lies next to the sea and has plenty of amenities), is just a 10-15 minute walk down the main road and has a shallow gradient. The second we arrived Effi and her family made us feel like part of the family. Judging by the other reviews, you are guaranteed the warmest of welcomes. Nothing was too much trouble. If you're travelling by car there are plenty of parking spaces under the olive trees and the gardens have tons of space for the little ones to run around (and tables and chairs to relax/eat). The property is ideal for couples, and families wanting a little seclusion but still close enough to the Kyopigi village. Our room had a double bed and a single bed with a kettle, hotplate, fridge and plenty of cutlery/crockery and cupboard space. The air-con was perfect to take the edge off the heat. The room was spotless with an amazing panoramic view over the sea to the second leg. 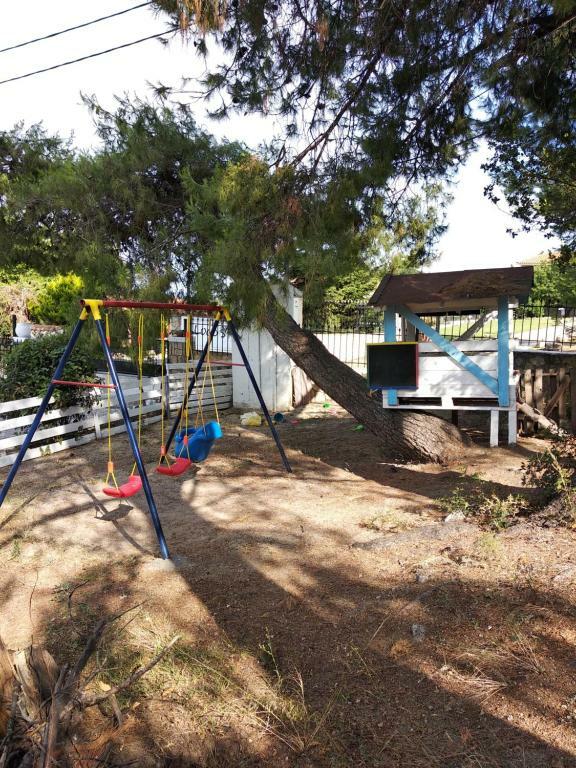 The property is set back from the main road and is in a very quiet location, but is just a 10-15 minute walk/1 minute drive from central Kryopigi. The rooms are also fitted with blackout shutters and double-glazed tilt/swing doors to the balcony - great to keep out the light (and sound!) if you want a lay in! All in all, great value for money, great location and I'll definitely be going back again. I can not critise anything. The big garden, a lovely welcoming by Efi and her mother, cleanliness of rooms and garden and everything that I forgot.